What vegan/vegetarian doesn’t always have lentils in their cupboard? If you’ve got these babies, you can always make a meal even if you end up scraping together bits from the bottom of the fridge. This soup is so easy, needs no weirdo ingredients, and is so hearty and delicious you’ll definitely want to make it again. And, it’s even better the next day. Preheat the oil in a large soup pot over medium heat. Sauté the onion and carrots for about 10 min, until the onions have browned a bit. Add the garlic, tarragon, thyme and paprika, and sauté for 2 mins. Add the tomatoes (and a little splash of water if necessary) and stir to deglaze the pot. Cover and cook for 5 mins. Add the vegetable broth, lentils, bay leaves, salt and pepper, then cover and bring to a boil. 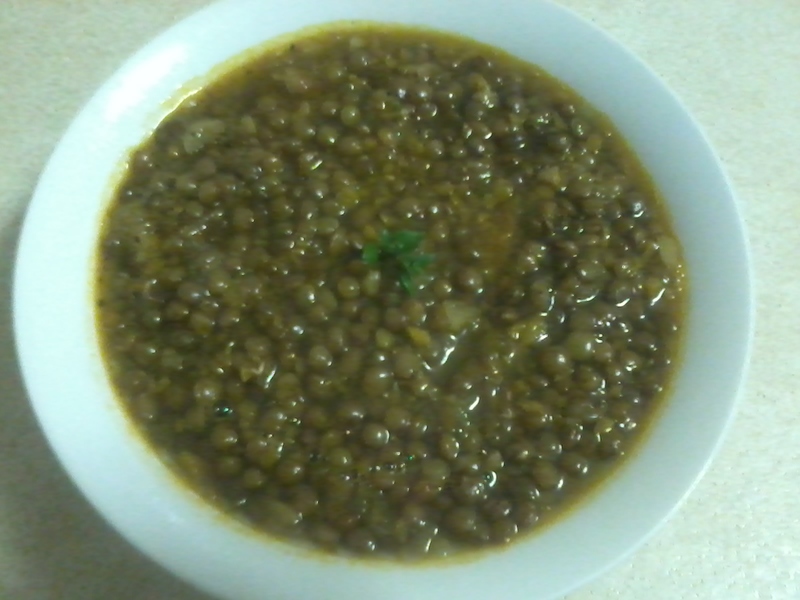 Once the soup is boiling, lower the heat to a simmer and cook, covered, for about 45 mins or until the lentils are tender. If the soup looks too thin, uncover and simmer for a couple more minutes. If it looks too thick, add a little more water. Serve with good crusty bread. Brown Sugar – Make It Yourself! An Ingenius Way To Eat Tacos!